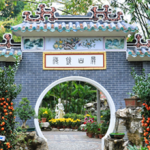 There are a number of gardens, large and small, dotted around the Macau peninsula. The larger ones include Jardim Da Flora, with it’s cable car, animal displays and walks up to Guia Hill, which is walkable to the Historic centre, and close to many other interesting attractions. Nearby is the Lou Lim Ieoc garden, a pretty small garden, steeped in local history with a lake and traditional Chinese features. 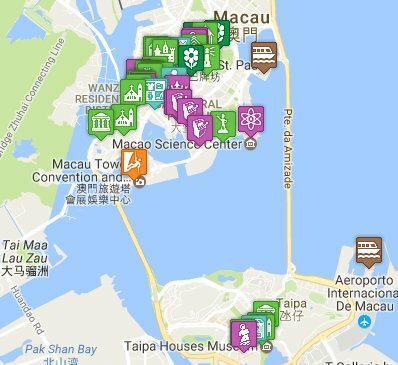 This page suggests some of the top gardens in Macau you may want to visit. There are also gardens in Taipa and beyond in Coloane. 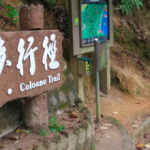 If you like your outdoors more wild, check out the Coloane Walking Trail – a lovely long circular walk (with many interconnected pathways) along the hills of Coloane. This well signed trail connects with the Arboretum and Parque De Seac Sai Van – which houses the Panda Pavilion along with some new and wild garden walks. Flower City Park is a small, picturesque, Chinese-themed walled park in the centre of Taipa. Surrounded by tower blocks on 3 sides and a road on the fourth, it provides a tranquil getaway from the hustle and bustle of the city. Jardim Da Flora (Teleférico da Guia, 松山纜車) is a lovely garden, which runs from Avenida De Sidonio Pais below up to the top of Guia Hill. Jardim do Sao Francisco (or Saint Francisco garden) is located in the heart of Macau. It's a pretty and convenenient spot for a break from the hustle and bustle of the city. 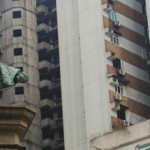 It sits just around the back of the Grand Lisboa Casino, between the Portuguese Military Club (possible for non members to go for lunch and a taste of old colonial Macau) and the Cineateatro de Macau (Cinema). Lou Lim Ieoc Garden (Jardim de Lou Lim Ioc, 盧廉若公園) was built in 1906 by local merchant Lou Kau as part of his residence, its design follows the well-known Suzhou Gardens. The Coloane Trail is the longest dedicated walking trail in Macau, stretching for 8100m in a circle around the hills of Coloane, at an average of 100m above sea level. Vasco Da Gama Garden is a small garden built at the end of the 19th Century.